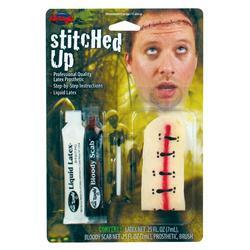 Sew your Halloween fancy dress with this gruesomely good Stitched Up FX Kit costume accessory. 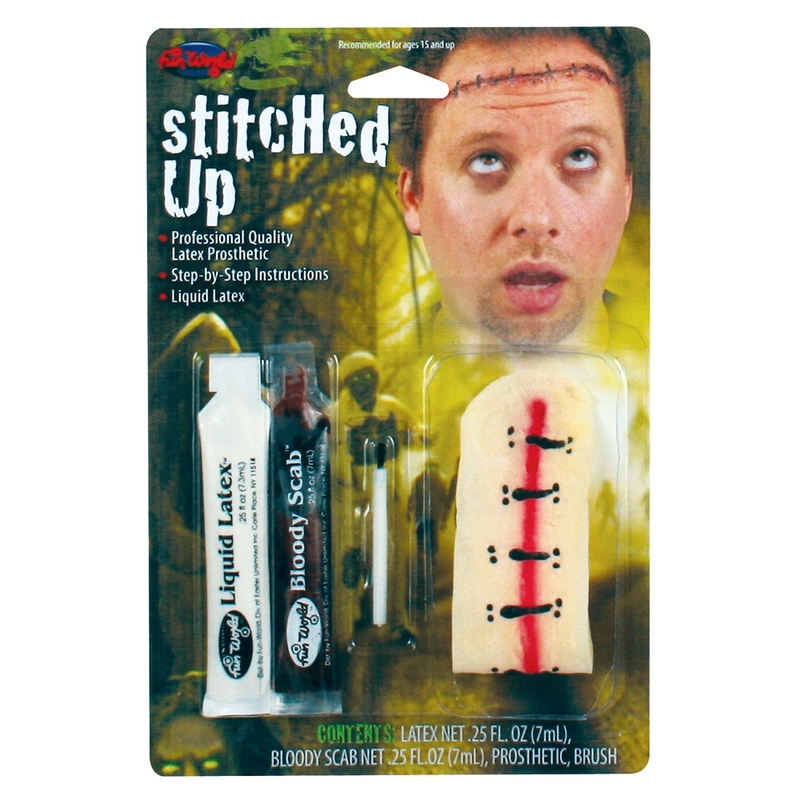 Included is a deluxe prosthetic stitch wound, a tube of stage quality liquid latex, bloody scab liquid and a makeup brush for application. Guaranteed to make a huge impression when worn alongside one of our Zombie costumes to a Halloween fancy dress party.